What Is Reasonable for Science Implementation and Sustainability? The numbers you’re about to read might surprise you, but they have been collected carefully and are accurate representations of what you could be spending on high-quality STEM curriculum, provided you have a willingness to break out of that 7-year cycle. 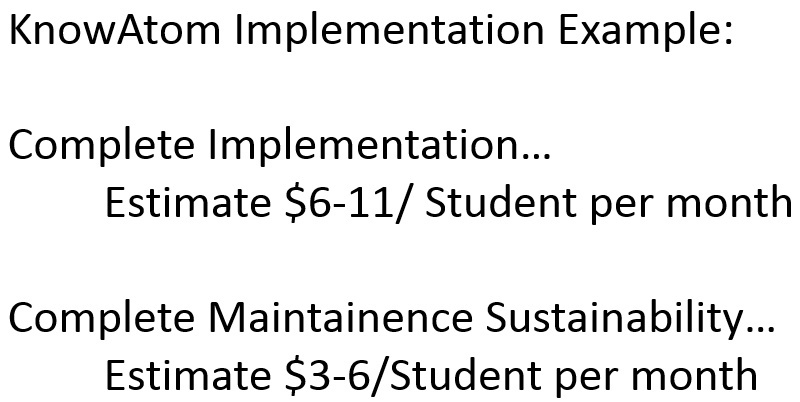 The cost of implementing and maintaining KnowAtom is significantly lower than a district typically pays for ongoing STEM curriculum and materials costs.